Meet our committed and professional coaches. SKILS works with some of the best in Canadian paddlesports and each of our team is personally committed to paddling. This commitment is backed up by years of personal and professional experience but even that’s not enough for us – all our team also actively work to support paddling through a variety of activities that include writing articles and books, sitting on Boards of Directors, volunteering time with youth programs and local clubs, and running paddling programs for other organizations. 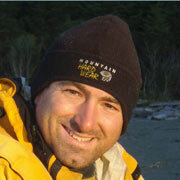 JF has taught kayaking and guiding expeditions full time across Canada since 1998. 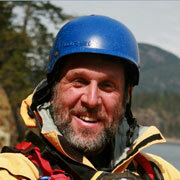 He is a certified Level 4 Guide & Guide Trainer and Examiner with the Sea Kayak Guides Alliance of BC (SKGABC). He was vice-president of the SKGABC for 14 years, He is a certified Level 4 Instructor and Level 3 Instructor Trainer with Paddle Canada. JF is a pioneer of kayak fishing in Canada. He holds many diplomas, including a Master’s degree in Industrial Relations and a Bachelor of Art degree in Political Science from Laval University. JF is the author of books and training manuals and wrote the kayak fishing chapter in John’s Dowd classic book Sea Kayaking: A Manual for Long-Distance Touring. When JF is not having fun on the water, he runs SKILS, Canada’s premiere sea kayaking training centre. He loves to communicate his passion of sea kayaking and use humour as a teaching tool. JF also enjoys teaching kayak fishing and guiding kayak fishing expedition. If you have never met JF before, it is easy to pick him out of the crowd, as his strong French-Canadian accent cannot hide him for long. Michael is the past president of the Sea Kayak Guides Alliance of BC. He is also a Lead Guide, Guide Trainer, and Examiner with the SKGABC. 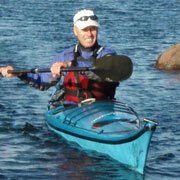 He is a Senior Instructor Trainer with Paddle Canada. Guiding and instructing paddlesports for over 30 years, Michael also has extensive retail and business experience in paddle sports. He coauthored the 2002 Handbook of Sea Kayak Safety and Rescue, published by Ragged Mountain Press. When is not kayaking, Michael teaches at Royal Roads University. 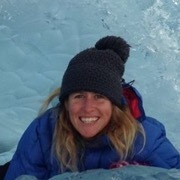 Justine is an award winning adventure filmmaker and expedition sea kayaker. 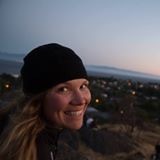 She has been on challenging expeditions around the globe, including circumnavigating the south island of New Zealand, Tasmania and the Queen Charlotte islands, a solo trip around Vancouver island, a 2500 km traverse of the Aleutian islands and a wilderness journey in Kamchatka with a novice Russian kayaker. Justine runs Cackle TV and created the highly acclaimed “This is the Sea” series of sea kayaking DVDs. Her films have won over 20 prestigious prizes including best film at Graz Mountain Film Festival and best adventure film at Banff & Kendal Mountain Film Festivals. She’s been runner up in CKUK magazine’s “Paddler of the Year” & a finalist in Canoe & Kayak Magazine’s “Female Paddler of the Year” and “Expedition of the Year”. She was named as one of the UK’s top 20 living explorers by ‘The Telegraph’ and was invited to meet the Queen at a Buckingham Palace reception for adventurers. In 2016, she won “Media Professional of the Year” at the World Paddle Awards. Justine represented England in the surf kayaking World championships and honed her rough water paddling skills in the tidal races of North Wales. She now lives in Ucluelet on the west coast. Justine is a SKGABC Level 4 Guide, BCU 5 Stars and Paddle Canada Level 2 Instructor. 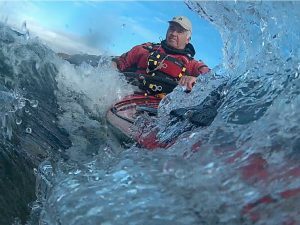 Gordon Brown is one of the world’s top sea kayak coaches with a lifetime’s experience of kayaking in all its forms and well over thirty years coaching sea kayaking at the highest level. He has written 2 best selling books on Sea Kayaking -”Sea Kayak” and the newly released ”Sea Kayak Safety and Rescue”, as well as the chapter on sea kayaking in the British Canoeing Handbook (the Governing body for kayaking in the UK). He’s produced a series of 3 award winning DVDs (Sea Kayak with Gordon Brown), focusing on safety and technique. Gordon holds the highest possible coaching qualifications in the British Canoeing system. He holds the British Canoe Union Level 5 Coach in both sea and whitewater kayak and also Level 3 Coach in surf kayak. He can train and assess all the BCU star awards. He has completed a Masters degree in performance coaching with a focus on decision making in order to avoid incidents. Gordon also has certifications with ACA and Paddle Canada. He is often to be found as a guest coach at symposia around the world. Gordon has recently moved from the Isle of Skye in Scotland to Vancouver Island. In Scotland, he ran the very successful Skyak Adventures with his wife, Morag. He loves live folk music and enjoys singing Scottish songs, good food and friends.Gordon believes that everyone has the potential to achieve more and that a creative and supportive environment can lay the foundations for the greatest advances in personal development. He values the importance of taking time to reflect and learn from the experience. His most rewarding experiences are when helping someone else achieve their potential. Erik is forever drawn to the water and is truly in his element when paddling. He is equally passionate about sharing the paddling experience through instruction, guiding, and community involvement. Instructing since 1996, the majority of Erik’s experience comes from paddling in unsalted Ontario waters. When on land, you can find him fixing friends boats or painting homes in and around the Toronto area. Erik has a keen interest in fitness and technical paddling skills, as well as open rough-water kayak play. Current certifications include: WFR, Paddle Canada Level I Instructor Trainer, Paddle Canada Level 3 Instructor, ORCKA Canoe Tripping II Instructor, ORCKA Basic Canoe Instructor Trainer, SUP Instructor Trainer, BCU Four Star and Three Star Sea Kayak Coach and a Personal Trainer under the national program of CanFitPro. With a quirky and often infectious personality, Kate has a passion for kayaking that began when she was just a wee little Salmon Fry, if you will excuse the coastal reference. Now she cruises the seas paddling surf kayaks, sea kayaks and surf skis in search of her next grand adventure. Kate grew up in midst of the rocky playgrounds and long sandy surf beaches of Vancouver Island, BC, so it is no surprise that she is now pushing the limits of ‘longboat’ surfing as a member of The Hurricane Riders. 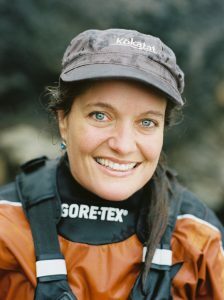 Kate is a coach with SKILS and holds certifications as a Sea Kayak Guide Trainer and Examiner with the Sea Kayak Guide’s Alliance of British Columbia, Paddle Canada Sea Kayak Level 2 Instructor and Level 3 aspirant. She brings over 18 years of experience in outdoor education and coaching combined with solid technical boating, safety and seamanship skills, giving her programs their own unique style. Costain’s introduction to paddle sports was through a flatwater racing club. Shortly thereafter he discovered sea kayaking and began to explore the many flavours of paddlesports. Costain taught canoeing and kayaking in the freshwaters of Ontario for a decade. He flirted with paddling on the west coast for a couple of years and eventually relocated to BC. A multifaceted teacher, Costain’s instructional experience ranges from recreational youth and adult courses to instructor and leadership programs. 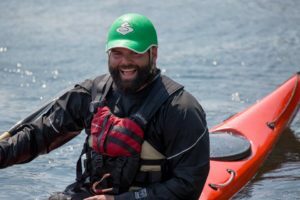 He seeks out unique paddling environments and loves to challenge what has traditionally been done in sea kayaks. Costain has sought instruction and inspiration from many paddling communities. He is excited to keep sharing his passion for paddle sports. 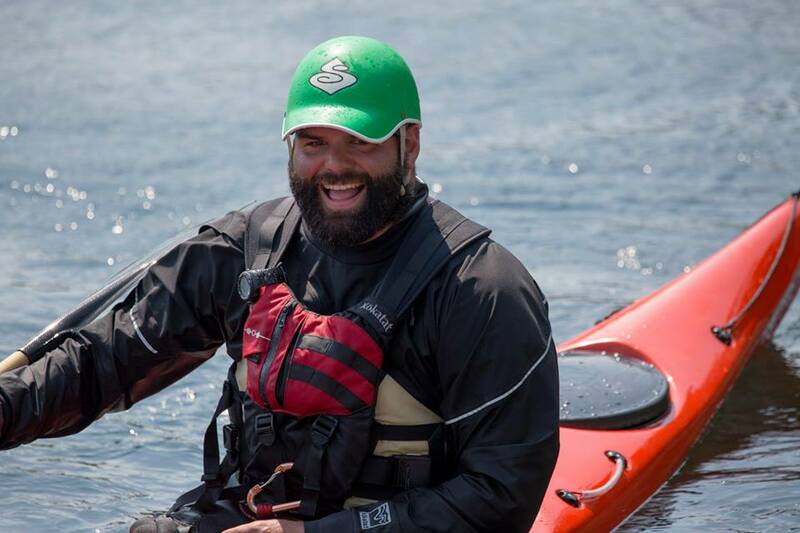 Costain is a SKGABC Level 3 Guide, Paddle Canada Sea Kayak Level 4 Paddler, Level 3 Instructor, Level 2 Instructor Trainer, and Intermediate Tandem Canoe Instructor. Laurel is a SKGABC Guide Trainer and Level 4 Sea Kayak Guide, Paddle Canada Level 2 Sea Kayak Instructor, Paddle Canada Instructor Trainer in Moving Water Canoe, Lake Canoe and Canoe Tripping, RCABC Master Instructor, Canadian Power and Sail Squadron ROC (Maritime) Examiner, Swiftwater Rescue Technician, and PADI Open Water Diver. Currently living in the Comox Valley on Vancouver Island, she’s paddled more waterways than she can remember from Central America to Asia and the South Pacific, including competing in some of the most challenging and longest canoe and kayak races in the world. Besides writing a thesis for her Masters degree in Distance Education, she’s penned three guidebooks based on her extensive experiences exploring and guiding on rivers in northern Saskatchewan and British Columbia, as well as published numerous articles, short stories, and poems. Laurel is a member of the International Explorers Club and Royal Canadian Geographical Society, inducted for her work in documenting historic and lesser-known waterways and her efforts to promote their conservation. Her career goal is to never have a “real” job. After three decades of working on the water, she is still on track! 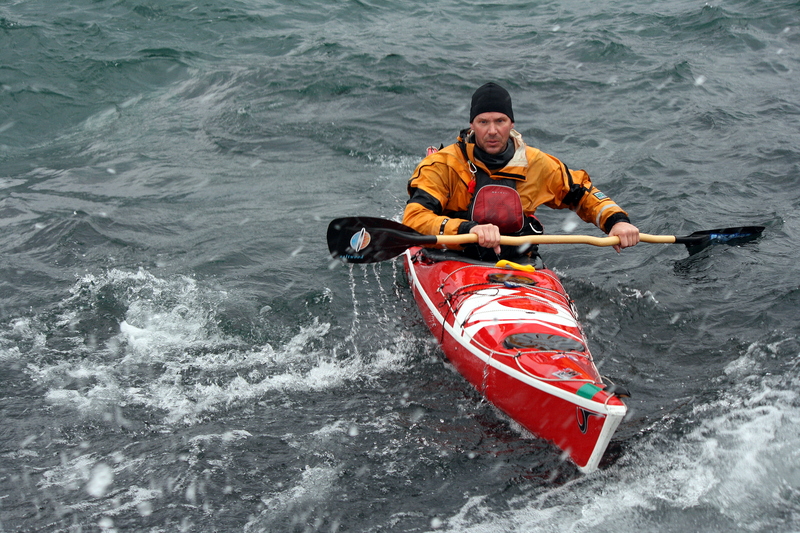 Gary Doran lives in Victoria, British Columbia, where he is the Head Sea Kayaking Instructor/Guide and Programmer at Ocean River Sports, and a core Sea Kayaking Instructor with Sea Kayak Instruction & Leadership Systems (SKILS). He has been a sea kayak instructor and guide since 1996, and has kayaked in the Queen Charlotte Islands, Vancouver Island, Baja, and the Great Lakes. Notable expeditions include Isla Angel de la Guarda, Baja, and Cape Scott, Vancouver Island. Gary is certified through Paddle Canada as a Sea Kayaking Instructor Level 4 and a Sea Kayaking Instructor Trainer Level 3. As well, he is certified through the Sea Kayak Guides Alliance of BC as a Guide Trainer and Level 3 Guide. He holds degrees in Education, Environmental Science, and Biology, and is an accredited Leave No Trace Trainer and Individual Conditioning Instructor. Kevin lives in Ucluelet, British Columbia, where he has been a professional Sea Kayaking Guide for the past since 2001. Kevin is a Level 3 Guide and Guide Trainer with Sea Kayak Guides Alliance of BC (SKGABC) and a Paddle Canada Level 2 instructor. Kevin is currently Head Guide and Operations Manager for Hello Nature Adventure Tours and over sees training and safety for the company. 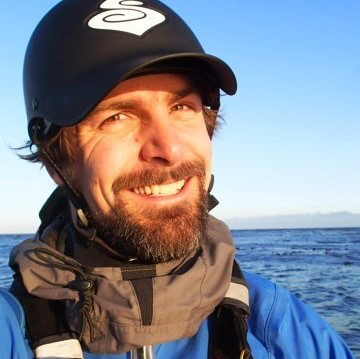 Kevin has paddled in numerous destinations around Vancouver Island, Costa Rica, Indonesia. The one place that Kevin truly calls home is the Broken Group Islands in Barkley Sound, British Columbia. Sarah started her paddling career in Ontario working at a summer camp instructor taking youth on canoe trips in Algonquin Park. 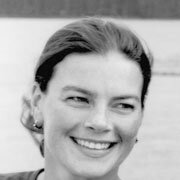 Sarah came to British Columbia in 1997 to take the Canadian Outdoor Leadership Training Course (COLT) Since then Sarah has worked on the BC coast guiding and instructing adults and youth and working to always improve her kayaking knowledge and skills. Sarah was a board member for the Sea Kayak Guides Alliance of BC (SKGABC) for 4 years and is a level 3 Guide and Guide Trainer for the SKGABC. She has worked in Baja and on the Central Coast of BC. When not in her boat Sarah loves to go telemark skiing or climbing in the mountains of Vancouver Island where she lives. Leah lives in Squamish, British Columbia, Canada. She has more energy and passion for people, wildlife and life than anyone we have ever had the good fortune of knowing! She is an avid triathlete and has paddled solo from Alaska to British Columbia and all over Europe. She has also led trips in Baja, Mexico for many years. She adores sharing her passion for paddling and whales with paddlers of all skill levels. Paddlers of all ages enjoy her boundless energy and knowledge and are inspired by Leah. Leah is a BCU Level One Coach and a SKGABC Level 3 Sea Kayak Guide. Lana is a guide and outdoor environmental educator who loves to share her experiences with people of all ages, fostering new perspectives, appreciation, and understanding of the natural world and our interaction within it. This prairie girl originally got hooked on the coastal lifestyle in her youth through regular surf trips out to Tofino. Before setting up camp in BC in 2012, Lana’s adventures lead her to crew on sailboats around Europe, surf icy waves in Norway, canoe jungle rivers in Bolivia, share remote surf and dive beach campsites with monkeys in Indonesia, and swim with whale sharks in Western Australia. (Note the water based theme). After many years exploring, travelling and living in different countries around the world, the wild, rugged mountains, trees and seas of the pacific northwest coast has called Lana back to Canada. Her cool, calm and laid back personality resonated perfectly with the west coast vibe and she has now made Ucluelet, BC on Vancouver Island her home. Lana shares her passion for the ecologically diverse west coast with great enthusiasm when talking about the local plant, wildlife and cultural heritage be it while out on the water, exploring tide pools or sitting around the campfire. She is a certified SKGABC Assistant Overnight Guide and is looking forward to another exciting season! Lana holds a Bachelor of Education, specializing in Science, so when she is not out guiding on the water, she is at the Ucluelet Secondary School shaping young minds, while the students try to keep her up to date on the latest hip trends. Amy’s love for the water began as a sailing and scuba diving instructor in her hometown of Victoria. Her passion for watersports has led to a career that allows her to share her love of nature and drive for adventure with youth and adults who are striving for the same. Amy is a graduate of TRU’s Adventure Guide Diploma and Bachelor of Tourism Management, and is currently pursing a PDP in Secondary Education for Math and Computer Science. 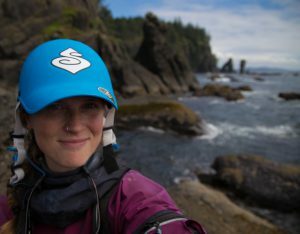 When not working with SKILS, Amy spends her time as a lead sea kayak guide in Gwaii Haanas National Park Reserve in Haida Gwaii, a whitewater kayak / canoe and sea kayak instructor for the Canadian Outdoor Leadership Training program (COLT), and a whitewater kayaking instructor for TRU’s Adventure Program. She also teaches scuba diving for Rockfish Divers in Victoria and is a SVOP certified boat captain. Amy is a SKGBC Level 3 Guide. Catherine is a life long local Tofino surfer who loves to spend most of her time in the ocean. Growing up on the beach inliving in the tropics as an other way to be on the water. As a commercial captain and a Paddle Canada SUP Instructor she uses her experience in teaching Flatwater, Surf, and Navigation Touring paddleboarding courses full time through her business, Tofino Paddle Surf. When she is not teaching surfing with her brothers Sepp and Raph or paddleboarding she will be found travelling and surfing with her kids. With her vast experience growing up on the ocean and surfing, Catherine is motivated by her love for the ocean and beaches, the fresh air and the rainforest. Catherine loves to share her stoke and appreciation for the planet and is sponsored by Roxy, Level Six and Aftanas Surfboards. Duncan has been living on Vancouver Island working as a wilderness guide and outdoor educator since 2007. With a background as a snowboard instructor, forest fire fighter, camp counsellor, river canoe guide, and highschool teacher, Duncan helped develop and facilitate Power To Be’s Wilderness School program for youth at-risk. During his decade there, he fell in love with sea kayaking as an outdoor pursuit and has loved sharing this passion with others ever since! 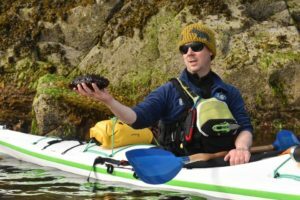 As a educator and natural storyteller, he strives to teach all that he can about paddling, kayak culture, and Vancouver Island during his trips. Duncan is stoked to work with new guides just starting out in the industry and loves helping clients achieve new skills while gaining wonderful experiences. Duncan was a past Executive Director of the SKGABC and now serves on its Executive Board. He is a SKGABC Level 3 Guide, Paddle Canada Level 2 Sea Kayak Instructor, Stand Up Paddleboard Instructor, and Big Canoe Leader. Faroe was raised on the sea air and rain of coastal BC; the environment encouraged her amphibious tendencies. She took her first sea kayak instructor course in 2004, and her passion and profession have been enmeshed ever since. Faroe is a Paddle Canada Level 2 Instructor, Level 1 Instructor Trainer apprentice and SKGABC Assistant Guide. 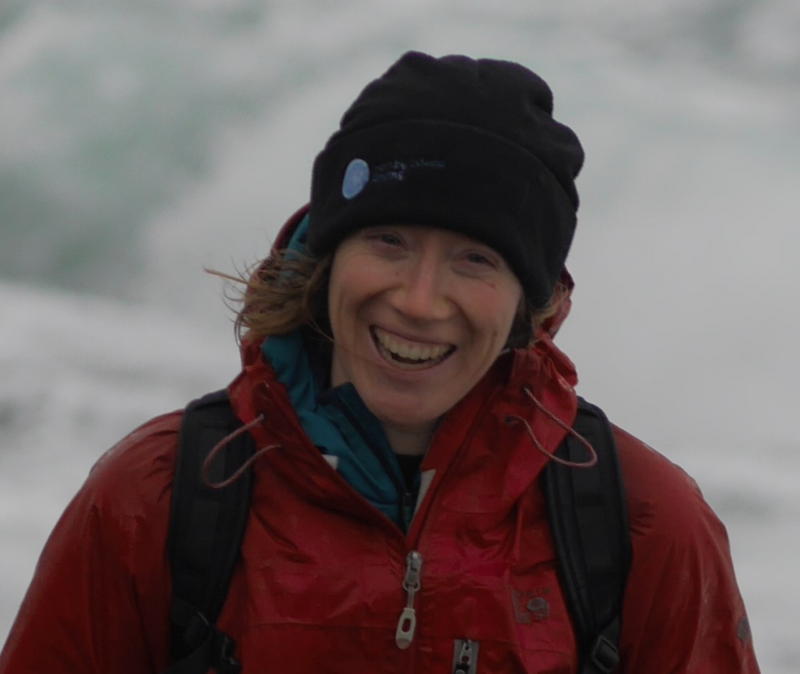 She is also a sea kayak Course Leader with NOLS, a Leave No Trace Master Educator, and a Registered Examiner for Maritime Radio. Faroe was a member of the Pipedreams Project paddling team, as well as co-director and co-producer of the award-winning short film by the same name. 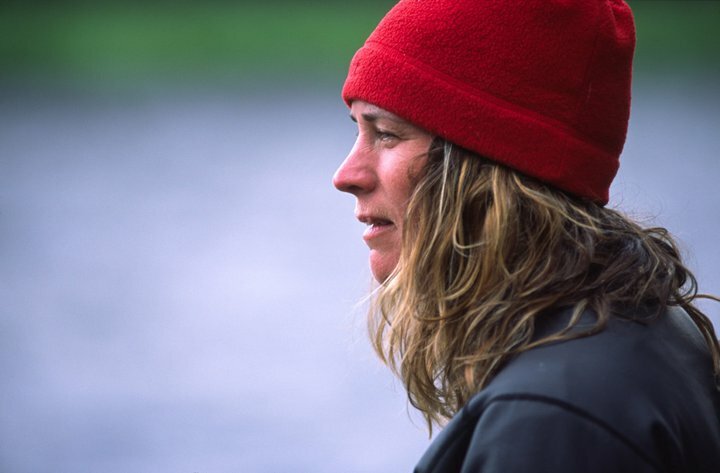 She has recently led sea kayak expeditions in British Columbia, Alaska, and Baja California.